This morning you are going to enjoy some good old fashioned fun and the most beautiful rainforest in Victoria. You may consider topping that up with some great Aussie food and wine for lunch and go on to meet some of Australia’s wonderful wildlife. We’ll get your day started with a journey through Melbourne’s eastern suburbs and views of the Dandenongs in the distance. The Dandenong Ranges, known to the locals as the Dandenongs, are beautiful low mountain ranges just 35kms east of Melbourne. At their peak, they rise to more than 630 metres and are cloaked in lush rainforests of Mountain Ash trees (the tallest flowering plant in the world), waterfalls, rolling hills and steep valleys. The region is home to the very famous Puffing Billy Railway, numerous art and craft stores and cafés offering delicious homemade produce. Nestled in the heart of the Dandenong Mountains is Grant’s Reserve – a haven in the wilderness. On arrival you will be charmed by the surrounding mountain hue and crisp clear air. 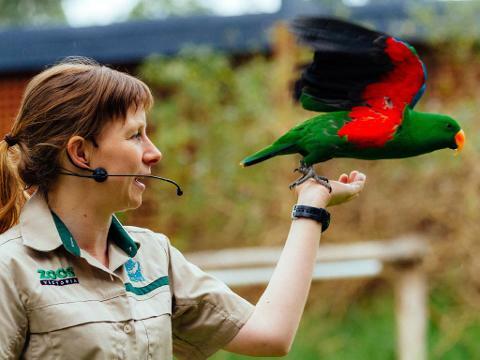 Grant’s Reserve is a paradise for bird life and you can handfeed some of the most striking Australian birds such as the colourful Crimson Rosella, Sulphur-crested Cockatoo and Pink-chested Galah. Make sure you have your camera on hand for some great photos. 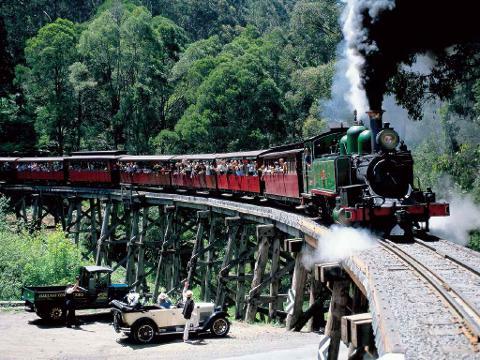 Next you head to Belgrave, home of the famous Puffing Billy Steam Train, where you are in for some fun! 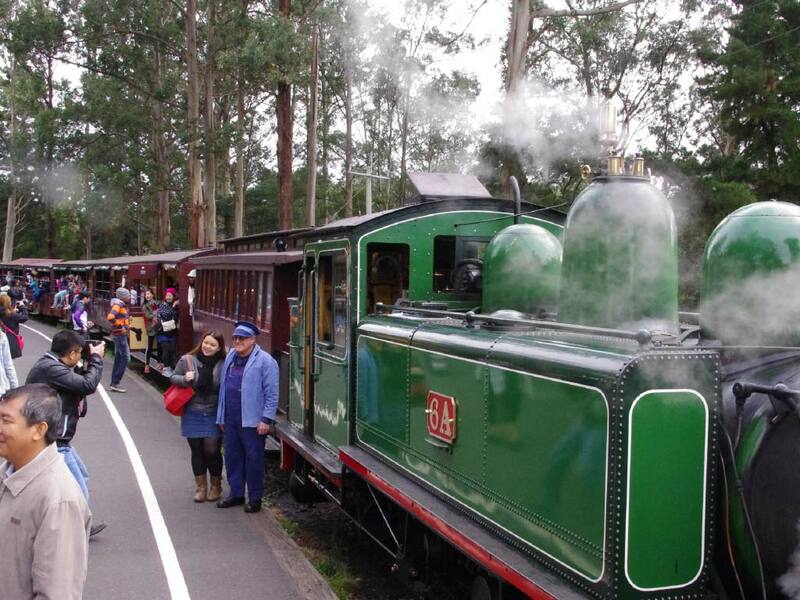 This century-old steam train is maintained in its original glory and runs to this day on its own mountain track from Belgrave to Gembrook. Here you’ll go back in time as you get on board for a 30 minute ride through the heart of the rainforest. You’ll head through the gorgeous Sherbrooke Forest and ride over the old Trestle Bridge. Just before Menzies Creek you can see stunning views of Port Phillip Bay before heading through Paradise Valley and on to the townships of Emerald and Gembrook. You’re going to love it! 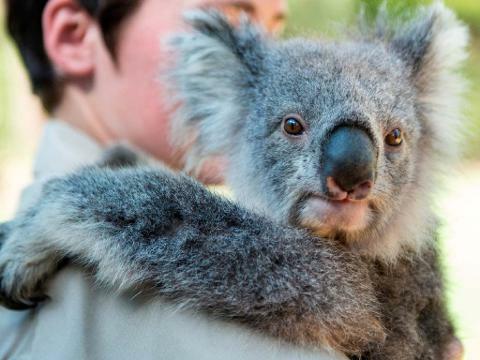 Now you’re off to explore the Healesville Wildlife Sanctuary and meet some Aussie wildlife. 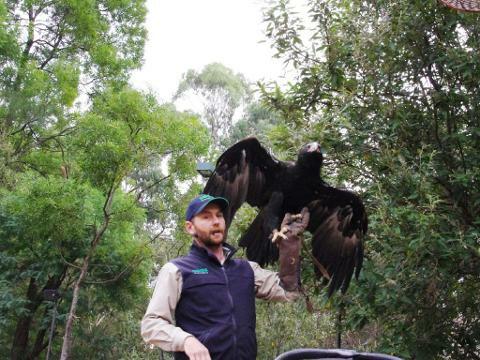 Set in a natural bushland environment this Sanctuary is home exclusively to Australian wildlife. Here you can walk the paths through the numerous habitats to see wallabies, wombats, koalas, kangaroos, dingoes and more than 200 native bird varieties.